Promoting your blog post is never a one and done deal. That’s why you need to find places to syndicate your content! As long as their information remains relevant, you can promote them to different online channels to drive more blog traffic. Marketing your blog content on social media and online communities are good places to start. However, where else can you push your content on channels where your readers are? What are the best places to syndicate your content? Content republishing has around for quite some time now. In fact, it was once considered an illegal tactic due to the reproduction of duplicate content. By publishing the same blog post on different sites, you risk your site from getting penalized on search results. Sites like Google and Bing will only index content and deindex pages with the same content, if not get outranked. As a result, there is a chance that your blog post might get deindexed even if you wrote and published the post. However, content republishing has been used to great effects by bloggers like Ryan Battles and Chelsea Baldwin. 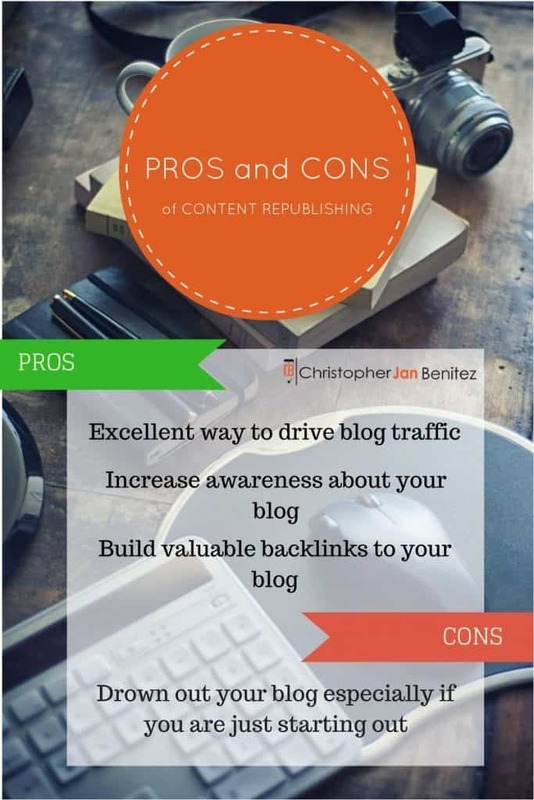 Both have addressed that republishing your blog content on different platforms will not hurt your blog’s search rankings, but only if this is done for the purpose of reaching out to your audience and not spam-related. As mentioned, republishing your original content on web 2.0 platforms is a great way to drive more traffic. 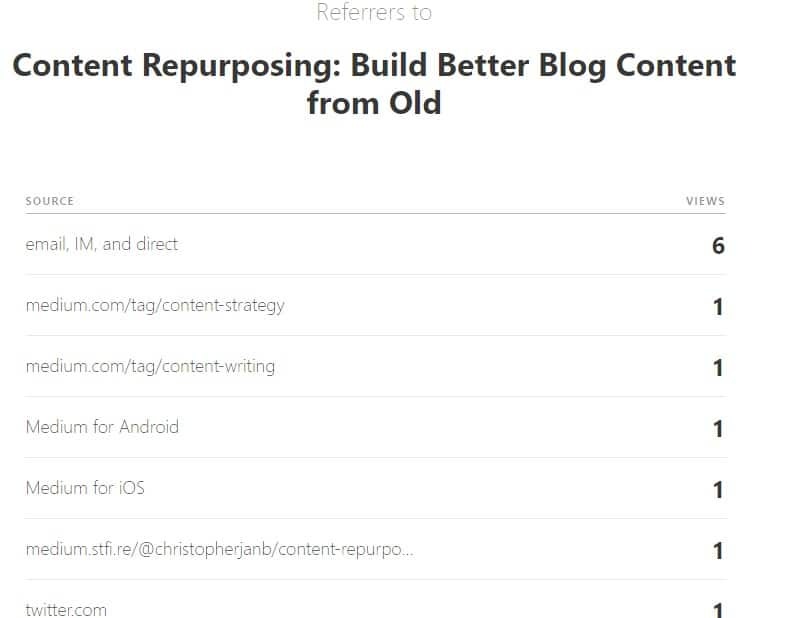 If people like your content, they can visit your blog to read related posts. Also, this tactic is a great method to increase awareness about your blog by tapping into existing readers from these platforms. But we will discuss this in depth later. Lastly, you can link back to the original post as a way to inform search engines that the content is indeed republished. Consider this as a way of building backlinks to your blog, which is a valuable factor in determining your search rankings. However, keep in mind to not abuse this feature to prevent Google and Bing from penalizing your blog. On the downside, content republishing can drown out your blog especially if you are just starting out. By republishing your blog content on established sites, search engines may disregard your post and rank sites where you syndicated your post instead. 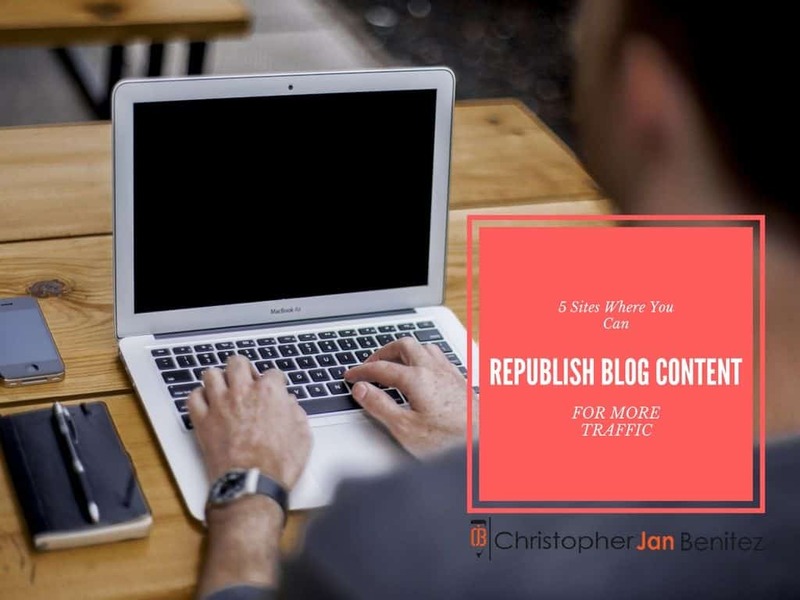 Your blog has enough authority to proceed with content republishing – While there is no way to measure this, just make sure that your blog has some Domain Authority of at least 20 to prevent other sites from outranking yours. DA is indicative of your blog’s performance over time, which is a big factor in determining your search rankings. You have promoted your blog content on social media and online communities – The idea behind content repurposing is to get more audience to your blog. Therefore, you want to inform your existing readers from the aforementioned channels that your post is available for viewing. You published the post at least seven days ago – Again, there is no actual data to support this claim. But a one-week window is enough for search engines to collect information about your blog content so they can index it for search. That said, these drawbacks shouldn’t prevent you from building a content syndication strategy aimed to increase the visibility of your posts! Below are content syndication networks where you can republish your blog content. Why? Medium is a unique blogging platform because it does not focus on statistics and data. Instead, it encourages users to tell stories that people will read. If your post communicates something useful and different to Medium readers, then consider republishing your content on the site. Sign up for an account and click on New Story. You will be brought to the text editor of the site. 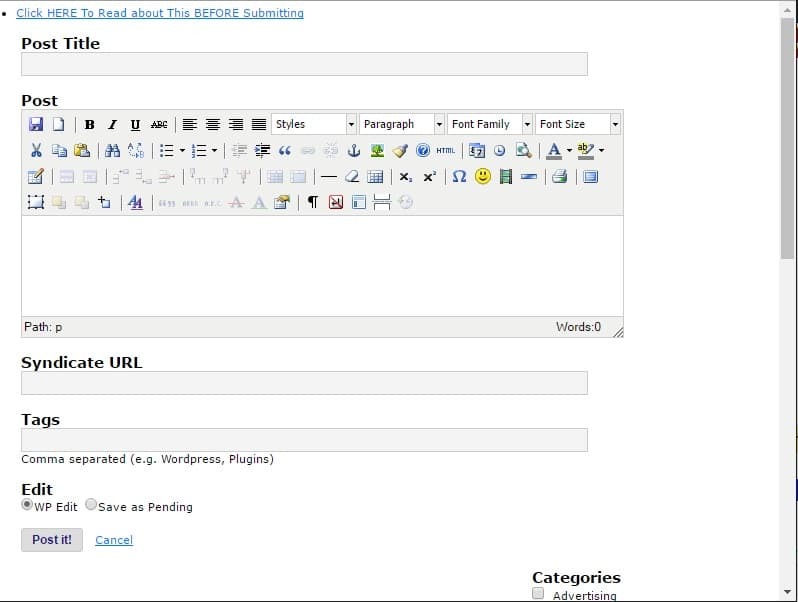 Just copy and paste the text from your blog onto the editor. 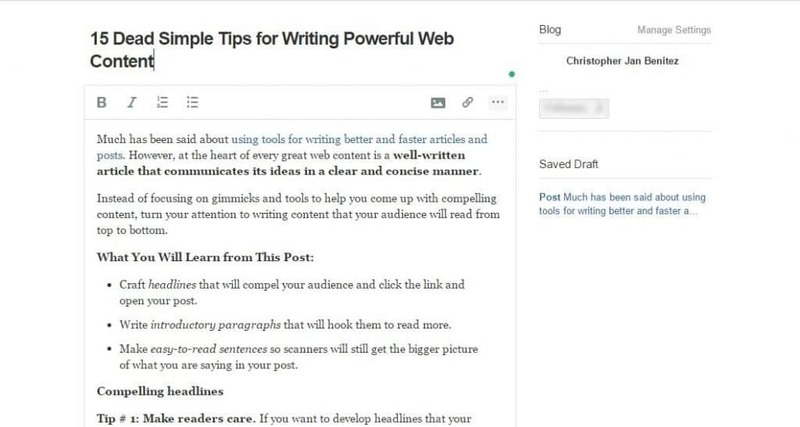 Medium will apply the same formatting to your blog’s, but you will have to run through the content just to be sure. Before you publish, make sure that you link back to the link where the blog content was first published to ensure proper attribution. 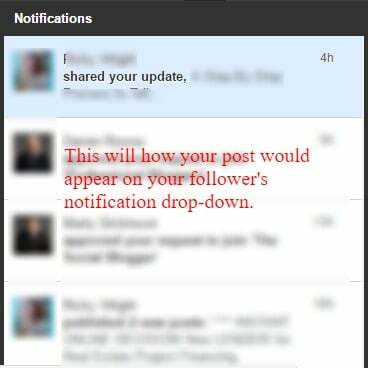 Once the content is ready, click on Publish and share the post on Twitter and Facebook. You can track who read your story and the site that referred them to the story. Why: LinkedIn allows users to create content that will appear on the notification of your connections. The more connections you have on LinkedIn, the more chances they will read your post and become more aware of your blog. Sign in your LinkedIn account and click “Write an Article” from your dashboard. You need to upload a featured image that will introduce readers to the post. 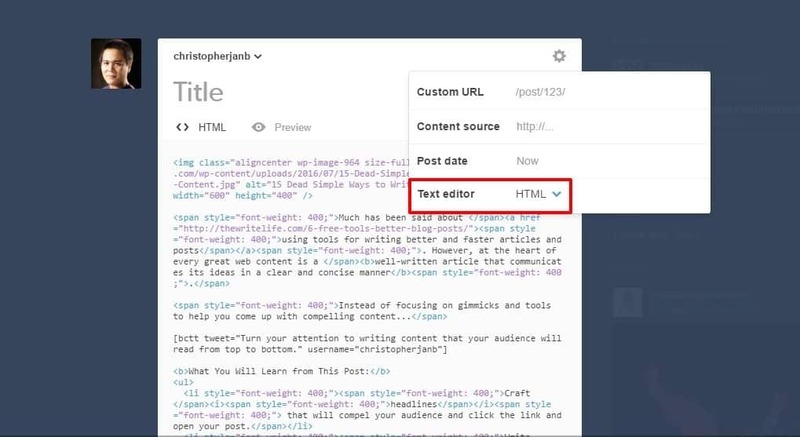 Copy and paste your blog content on the text editor area. The images won’t be included once you paste the article, so you need to upload them one by one. Again, make sure that you attribute the post to your blog. 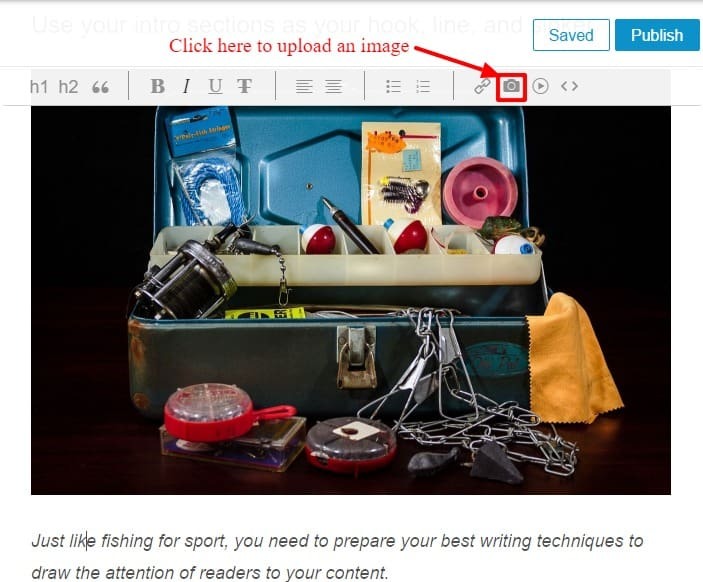 Once you click “Publish,” it will ask you to include a maximum of three tags to your post. The tags will help make your article searchable on LinkedIn. The benefit of republishing your blog content on LinkedIn is that your connections will receive a notification about your LinkedIn article. If they are not following your blog, this is a great way to introduce the kind of content you produce and encourage them to visit your blog. Therefore, it would really help if you have lots of connections on LinkedIn. The more professionals you are connected with, the more they will click and read your post from their notification page. Why: Kingged.com is a social networking site for business where users can share and syndicate their posts and comment on what other people shared. The site is also a great place to interact and collaborate with influencers within your industry so you can build and leverage relationships in the future. For this to happen, you need to syndicate your best posts. A text editor will show on a window where you can enter your post. Copy and paste the post on the body, select the appropriate category, and enter the most relevant tags. Since the editor will ask for the URL of the post you want to syndicate, you do not need to attribute the post within the content of the republished on. 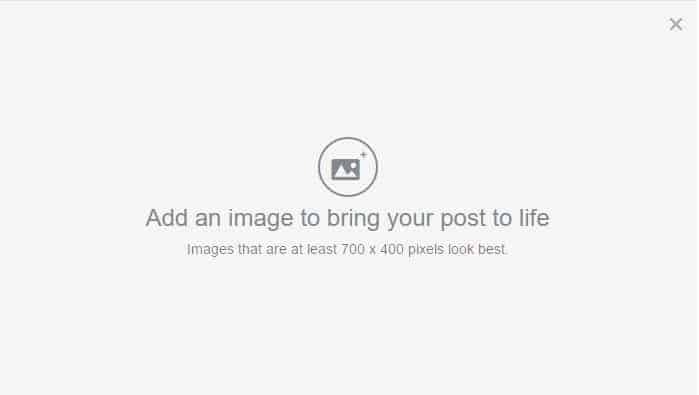 Make sure that the images are not more than 600px in width to maintain the layout and appearance of the post. Over time, you can expect people to “king” your post and receive comments from them. Update: Users can no longer syndicate their content on Kingged.com. The site is now a blog about financial tips. Why: Don’t confuse WordPress.com with the self-hosted WordPress. This is the online version of this blogging platform. You have access to users where you can follow, like, and reblog their posts. What we want to achieve here is to reach out to like-minded users and republish our blog content here so we can build a dedicated following of your blog. I am referring to the WordPress.com free account. If you do not have an account yet, you can create one now. After logging in, write a blog post. Copy and paste the article on the text editor. Upload the image and enter the proper attribution within the content. 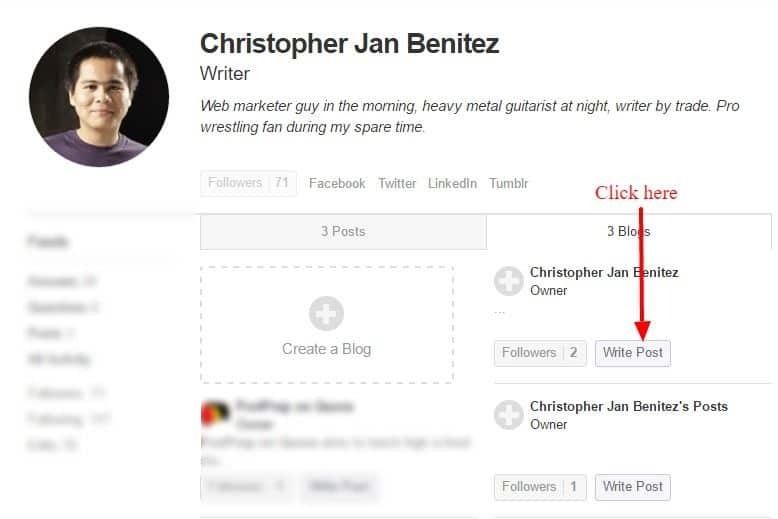 Before publishing, connect your social media accounts to your WordPress’ so you can automatically share the post on those channels upon publication. You can check out the republished blog content here. If your post is good, different users will like and/or reblog it. If your post is really good, some will even follow your blog! Why: While Tumblr caters to a younger audience, it is still a valuable place where you can republish your post and get found easier online, which could lead to more blog traffic. Log into your account and create a text update. If you have the HTML copy of the post you want to republish, you can select HTML as your text editor. Make sure to revert back to Rich Text to edit and check if the formatting is correct. Link back to the first article within the post and include tags to make your post searchable within Tumblr. Why: Quora is the premier online Q&A site. With its blogging function, Quora aims to help users impose their knowledge on particular topics instead of just answering questions. 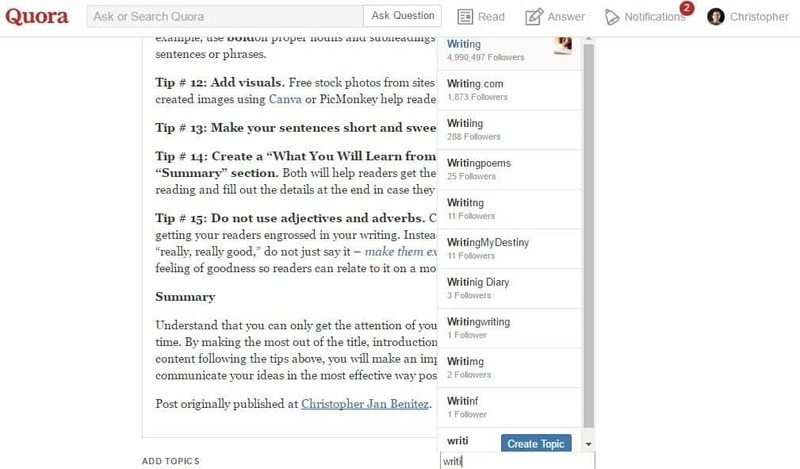 By creating and writing on a Quora blog, they can build a following and refer more traffic to your actual blog. Log into your account and go to the Blogs page. If you do not have a blog yet, you can create one from this post. Choose an available name for your Quora blog and it will used as your subdomain for creating posts using this platform. If you have a blog already, create a post. It is best to copy and paste the post on your text editor and make the necessary edits. After linking back to your initial article, choose the topics to categorize the post. Choose topics with thousands of followers to increase your reach. 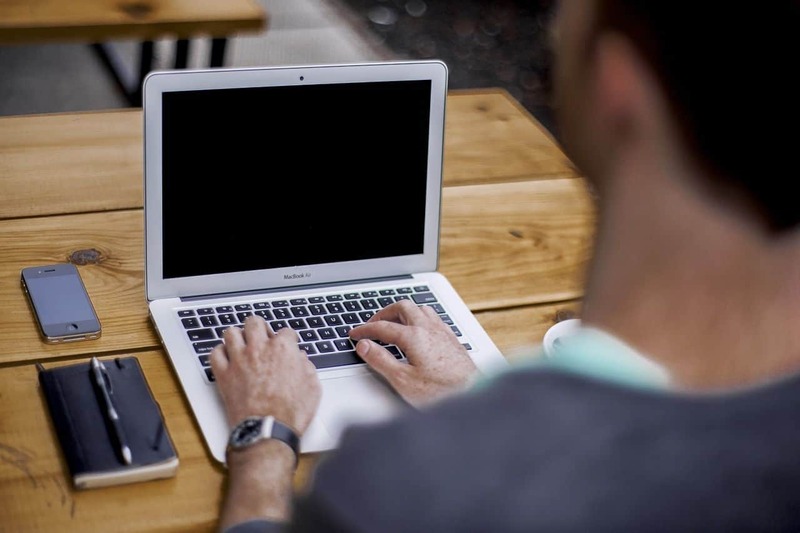 Content syndication can be a time-consuming activity. However, making it part of your digital marketing strategy will grant you rewards later on. 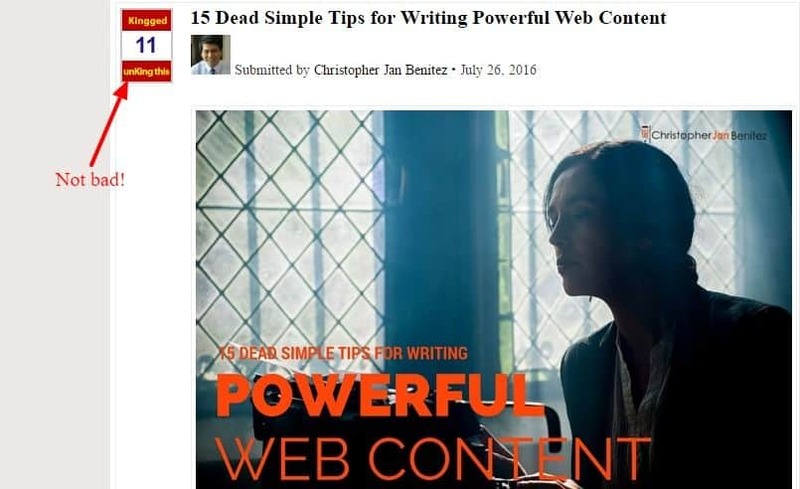 As shown in the examples above, you can build a following of your target audience, which you can later engage further with more republished posts from your blog. This will lead them to visit your blog and read more of your great content! Also, you do not have to republish all of your blog content on these syndication networks. You can focus on republishing only the best content you have so you only deliver content your followers will love in these platforms. Play around with this tactic and see the kind of results you can get from republishing your posts.